How we think about and what we think of as money is constantly changing. And in many cases, those changes are driven in locales that are not necessarily centers of global capital. Consider for the instance of the relatively recent introduction of “mobile money”. In 2007, the Kenyan mobile network operator, Safaricom, launched a mobile payment service named M-Pesa. The service enabled people with no bank accounts (and no access to bank branches) to send and receive money via their mobile phone. By 2011, the service had enlisted 17 million subscribers; by 2014, it was estimated to have double the number of people using formal financial services in Kenya (from 30 percent in 2006 to 65 percent in 2014); in 2018, Google Play started accepting payments via M-Pesa for apps bought online in Kenya. M-Pesa is routinely cast as a technological innovation from the postcolonial South that is ushering in a new wave of financial exclusion for the so-called “unbanked.” Over the last decade, leading international organizations such as The World Bank, government agencies such as USAID, industry trade bodies such as GSMA, and private philanthropic foundations such as the Bill and Melinda Gates Foundation and Mastercard Foundation have embraced (and are heavily investing in) mobile money and other electronic and digital financial instruments for the purpose of financial inclusion. The proliferation of mobile money in the global South and its embrace as a quick-fix to financial inclusion raises a number of questions of interest to scholars and policymakers of money and development: How, if at all, do new forms of money impact people’s everyday financial lives? How do these technologies intersect with other financial repertoires as well as other socio-cultural institutions? How do these technologies of financial inclusion shape the global politics and geographies of difference and inequality? 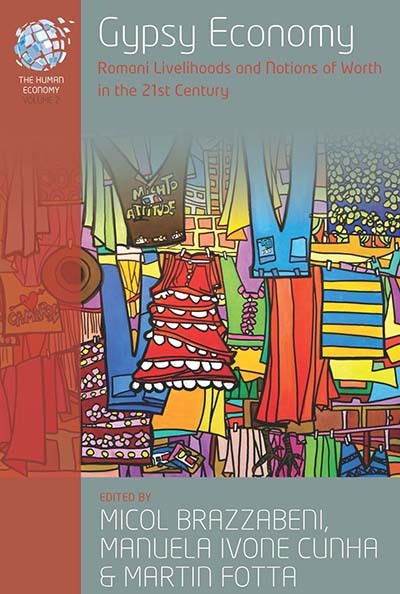 These questions are at the heart of a new volume in Berghahn’s Human Economy Series, Money at the Margins: Global Perspectives on Technology, Inclusion, and Design, edited by Bill Maurer, Smoki Musaraj and Ivan Small. The volume brings together highlights from multiple years of research and collaborations among a global community of scholars and practitioners whose paths at one point converged at the Institute of Money, Technology and Financial Inclusion at University of California, Irvine. The book takes up the buzz around mobile money but also other monetary and payment technologies and practices for development as a starting point for thinking more broadly about the everyday financial lives of these so-called unbanked as they take up (or not) new financial services and technologies alongside a variety of other monetary and non-monetary mediums of transactions. In a time of hype and euphoria around cashlessness and dematerialization of money, we remain astounded by the dearth of qualitative data on the everyday uses and effects of these new monetary forms and by the simplistic answers to very complicated questions about wealth and poverty, access to financial resources, meaning and uses of new and old financial mediums and services. 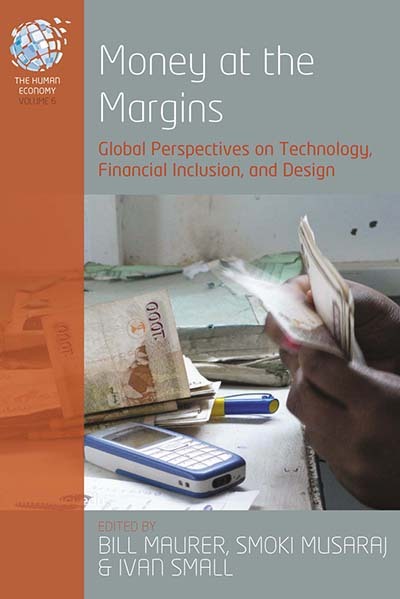 Money at the Margins seeks to fill this gap by bringing ethnographic perspectives to a wide array of financial practices across multiple communities across the global South. Among others, readers gain insight into a rotating credit association meeting in Nepal; trans-border financial support networks among Somali migrant entrepreneurs in Kenya and migrants across the Haiti-Dominican border; mobile money usage by rickshaw pullers in India and the visually impaired in Kenya; multiple financial services offered by game networks’ operators in Colombia; trading in multiple currencies in socialist currency Cuba; sharing of retail credit cards among the urban poor in Santiago, Chile; uses (and contestations) of cash grants by governments authorities in the Philippines and South Africa. The book consists of thirteen ethnographic accounts/case studies organized in four sections: Value and Wealth; In/exclusion; Technology and Social Relations; Design and Practice. 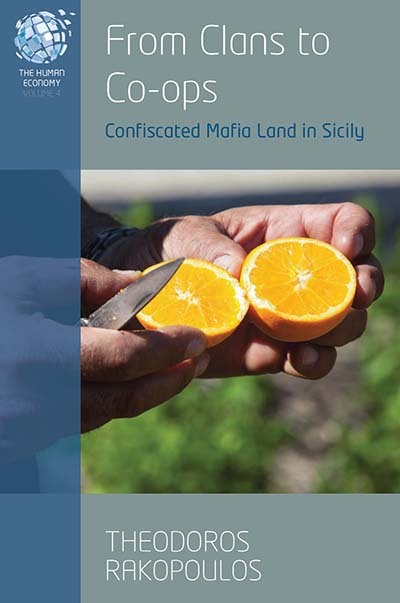 The sections are introduced by brief commentaries by four leading scholars in the areas of economic anthropology, development studies, and information technology: Ananya Roy, Jane Guyer, Jenna Burrell, and Joshua Blumenstock. The volume highlights the interdisciplinary collaborations that have emerged around the study of money and finance at the margins of global capital. The contributors in the volume come from different disciplinary and professional backgrounds (anthropology, sociology, development economics, communications, policymaking, design) and deploy different research methods (among others, ethnographic fieldwork and participant observation, survey-based research, mixed methodologies, video ethnography). Many of them engage in collaborative research that crosscut social science, policymaking, philanthropy, and technology and design. 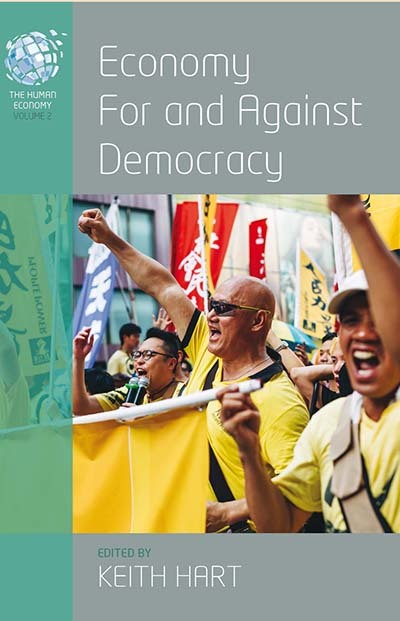 As such, the volume echoes current calls for collaborative ethnographic engagements as well as ongoing calls for more serious engagement with research and theories from the Global South. 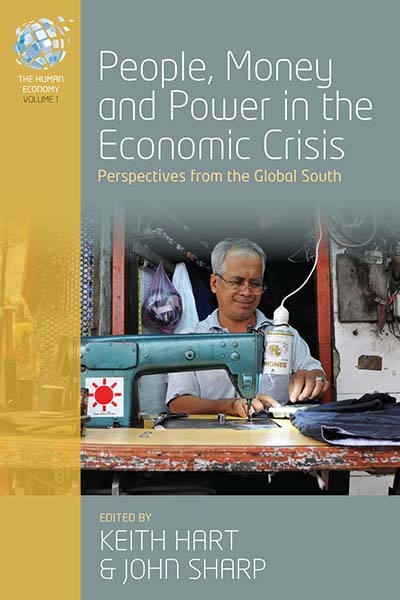 As microfinance initiatives increasingly expand the financialization of the poor, these chapters caution against importing ready-made models of inclusion and provide design guidelines that are attuned to local institutions and practices of financial resourcefulness and responsibility. 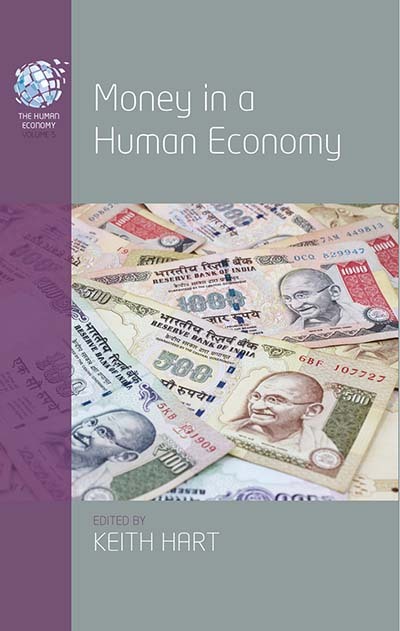 The methodological and theoretical orientation of Money at the Margins articulates well with the broader mission of the Human Economy Series at Berghahn, which aims at providing alternative accounts of the economy as lived by people located across various social, financial, political and cultural geographies. Bill Maurer is Dean of Social Sciences and Professor of Anthropology and Law, University of California, Irvine. He is the Director of the Institute for Money, Technology and Financial Inclusion (IMTFI), and author of How Would You Like to Pay? How Technology is Changing the Future of Money (2015) among many other publications. Smoki Musaraj is Assistant Professor of Anthropology and Director of Study of the Anthropology Honors Tutorial Program at Ohio University. She has published in various scholarly journals, including Cultural Anthropology, Ethnologie Française, Përpjekja, Anthropology of East Europe Review, and Current Anthropology. Ivan Small is Assistant Professor of Anthropology and International Studies at Central Connecticut State University. He is author of Currencies of Imagination: Channeling Money and Chasing Mobility in Vietnam (Cornell University Press, 2018). He has consulted for various think tanks, foundations and nonprofit organizations including the Smithsonian, India China Institute, Ford Foundation, and World Policy Institute. Those social sciences and humanities concerned with the economy have lost the confidence to challenge the sophistication and public dominance of the field of economics. We need to give a new emphasis and direction to the economic arrangements that people already share, while recognizing that humanity urgently needs new ways of organizing life on the planet. This series examines how human interests are expressed in our unequal world through concrete economic activities and aspirations.